A new systematic review published in PLoS titled, “Herpes Zoster Risk Reduction through Exposure to Chickenpox Patients: A Systematic Multidiscplinary Review,” confirms that the widespread adoption of chickenpox vaccine over the past 30 years, which has resulted in a decline in chickenpox cases associated with infection from the wild-circulating virus, has led to a concerning increase in the incidence of herpes zoster (shingles), a far more serious expression of chickenpox virus (varicella zoster) infection. This new review brings to the forefront a few critically important questions: are natural infectious challenges essential for establishing a healthy immune system, and is the chicken pox vaccine doing more harm than good? 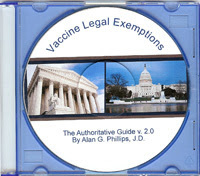 Despite the largely politically- and economically-motivated immunization agenda of the CDC, there is a growing body of clinical research establishing that vaccination does not effectively ‘improve upon’ or ‘replace’ natural immunity in the way that the masses have been made to assume; to the contrary, there are now hundreds of diseases that have been linked to commonly administered childhood and adult vaccines; and when we say “linked” we don’t mean anecdotally, but in the biomedical literature itself [see the data set establishing the dangers of vaccines]. Additionally, the highly respected Cochrane Database Review repeatedly contradicts the CDC’s claims by demonstrating that there is a conspicuous lack of unequivocal scientific evidence supporting their claim that influenza vaccines are safe and effective. Even worse, despite the hundreds of thousands who receive them every year, virtually no research has been performed showing them safe in children under two, the most vulnerable population. It is therefore no surprise nor secret that the chickenpox vaccine has failed to live up to its promises. Even the CDC’s Manual for the Surveillance of Vaccine-Preventable Diseases admits that “As vaccination rates have increased, the majority of varicella cases now occur among vaccinated persons.” Wouldn’t an effective chickenpox vaccine result in the majority of varicella cases occurring in non-vaccinated persons? Indeed, since the introduction of universal chickenpox vaccination in the US in 1995, the vaccine has been found to have only limited effectiveness, with 1 in 5 children receiving the original vaccine experiencing “breakthrough” infections.” This is why, at present, children on the CDC’s immunization schedule receive two doses. But increasing the number of doses isn’t working either. For example, in 2006, a chickenpox outbreak occurred in a population of Arkansas schoolchildren with 97% immunization compliance. When the researchers looked at the difference in outbreak cases between one-dose and two-dose children, none could be found. Another glaring problem is the fact that the chickenpox vaccine itself is clearly a source of infection. 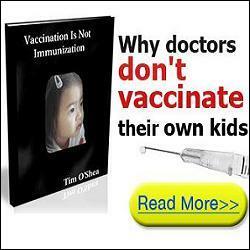 The CDC states “Chickenpox vaccines contain weakened live VZV, which may cause latent (dormant) infection.” When the goal is to prevent infection, injecting children with the very infectious and communicable pathogen the vaccine is supposed to prevent seems like the very definition of quackery, does it not? We forget that there was a time when injecting infectious disease material into otherwise healthy children was considered a bad idea. And then there were the hundreds of millions of years of bodily evolution where no such option existed, but which nonetheless enabled us through our own well-adapted innate and acquired immune apparatus to survive as a species up unto this point in time, where now we flagrantly cast our biological inheritance to the wind in favor of mass experimentation with 60+ vaccines given to our childen by age 6. Another problem is the use of euphemisms like ‘weakened’ or ‘attenuated’ to describe live-virus containing vaccines, implying that they are less virulent. One of the basic methods used to create these ‘weakened’ vaccines is to serially passage the infectious agent through both and/or either animal and human biological fluids (e.g. bovine serum) and cells, giving the vaccine master seed stock an opportunity to become contaminated along the way with hidden disease vectors, including cancer-causing viruses. Endogenous retroviruses, for instance, are RNA-based ‘fossil viruses’ that incorporated their genetic material into the infected species’ germline DNA many million years ago, and now harmless to that species, make up a significant portion of the total DNA sequences within most animal genomes. For example, the human genome is believed to be 8% endogenous retroviral in origin. These retroviruses are normally not capable of infecting other species, but during the vaccine manufacturing process where viable biological materials from different species are often cultured together, or undergo accidental admixture, they can become reactivated and infectious to another species. These problems and controversies drove the vaccine industry to develop presumably “safer” vaccines, such as the “killed,” “toxoid,” “subunit,” “conjugate,” and now DNA-based vaccines. The earnest push towards these latter “improvements” tacitly reveal the original danger behind using the so-called “weakened” vaccines. And nowhere is this problem still more evident today than in India where despite the Global Polio Eradication Initiative’s claims of “mission accomplished” in India, over 45,000 reported vaccine-strain induced cases of polio-like disease have been reported. For the same reason that the wealthier countries like the US already phased them out, Indians are now outraged to learn that the billions of doses of oral polio vaccine given to their children actually contain a live virus twice as lethal as the wild one that has supposedly been eradicated. If only their proponents and active promoters, like the Dalai Lama, knew the harm they are capable of doing. Chicken pox vaccine is also grown with living cells from aborted fetal tissue. Known as “diploid” vaccines, they carry their own set of biological and obviously moral risks. As far as the precautionary principle stands, injecting virus-infected human cells, alongside powerful immunotoxic adjuvants, into the bodies of healthy children in order to ‘protect’ them from a benign, immune-strengthening bout of chickenpox, sounds like the very definition of insanity. But as it stands today, millions of parents and their pediatricians consider this not only sound practice, but necessary to prevent infecting others. Instead of looking to the origin of the herpes zoster problem: both the (paradoxical) infectivity and the lack of efficacy of the chickenpox vaccine itself, the vaccine industry and its cheerleading arm, the CDC, are now promoting a new “shingles” vaccine which contains more of the same: another live varicella virus. And already there is indication that the shingles vaccine causes … you guessed it … reactivation of the herpes zoster virus. Read a 2012 case study on this connection here. Lopez, Adriana; Schmid, Scott; Bialek, Stephanie (2011). “Chapter 17: Varicella”. In Roush, Sandra W.; McIntyre, Lynne; Baldy, Linda M. Manual for the Surveillance of Vaccine-Preventable Diseases (5th ed.). Atlanta GA: Centers for Disease Control and Prevention. Center for Disease Control http://www.cdc.gov/vaccinesafety/vaccines/varicella/. Be the first to comment on "A Pox on the CDC’s Vaccination Agenda: The Rise of Herpes Zoster (Shingles)"